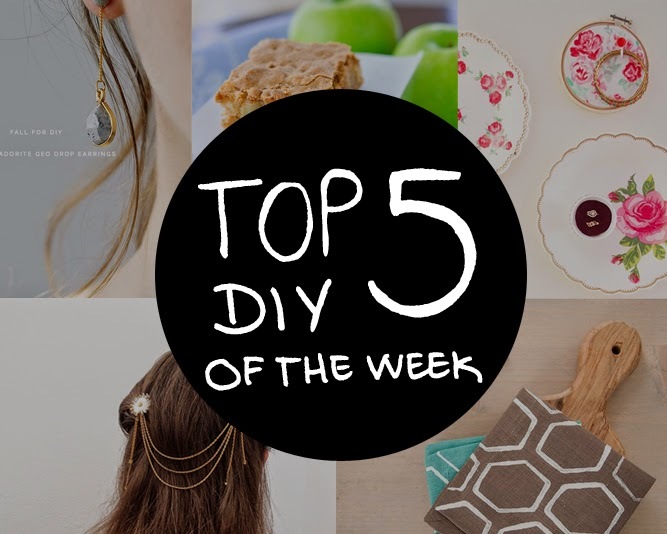 If you don't know what the top 5 is : every week I post a compilation of my favorite and most inspiring crafts that i discovered throughout the week. Francesca from Fall For DIY posted this beautifull faux labradorite earings made with polymer clay. This week I came across Craft A Doodle Doo Blog , it has such simple and great ideas , you should definetly check it out. 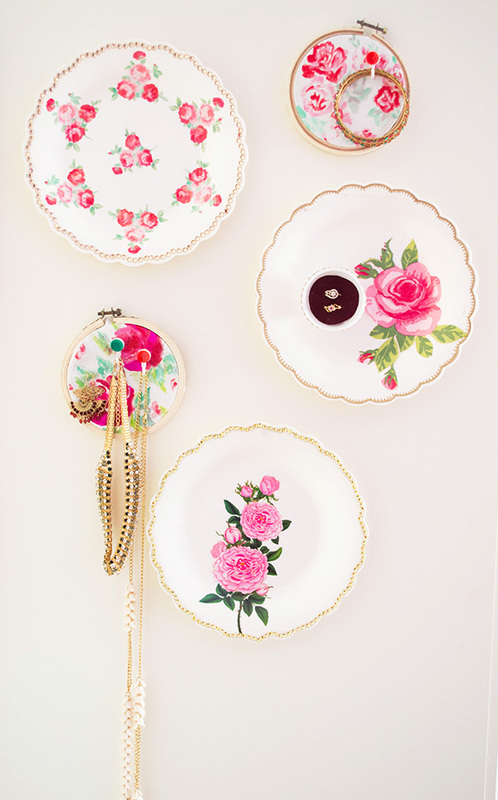 You can learn how to create this faux vintage china display for your jewelry clicking here. One of my favorite cake recipes is apple cake, so why not try apple brownies? This recipe seems delicious and i'm looking foward to give it a try. 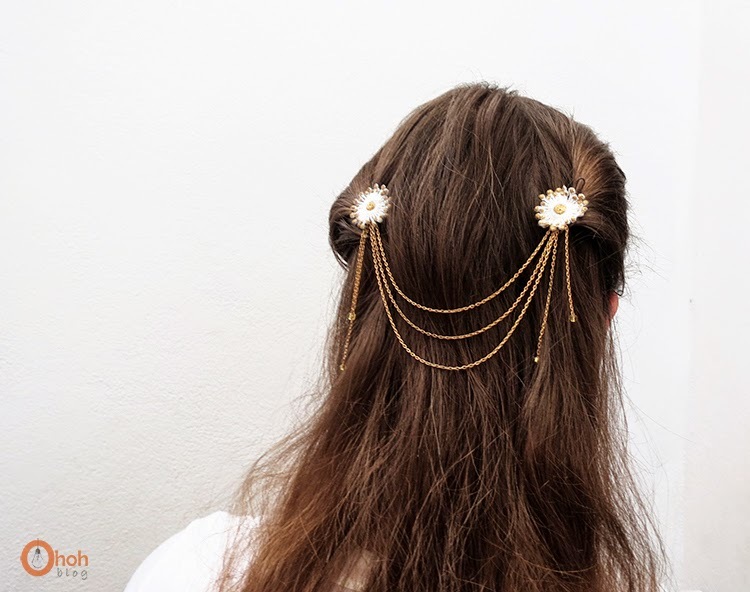 Ohoh Blog also posted this hair jewelry diy, it has a vintage feel to it, with the lace flowers and the golden chains. See the instructions here. There is a honeycomb pattens trend going all over the internet, I admit i am also obcessed with this type of pattern and I discovered a tutorial on how to make honeycomb stamped cocktail napkins using a piece of carbord to create the stamp. See how here. If you have any blog and DIY sugestions leave them in the comments. Apple brownies sounds absolutely delicious ! Definatly saving that recipe ! Thank you SO much for featuring! I'm crushing over the hair jewelry.